Sodimate provides customers with complete lime sludge stabilization systems from storage tanks to sludge processing and conveying. The custom-designed systems are adaptable to specific site requirements for storage and loading, transport and processing needs, and conveyor size. In a typical configuration, sludge processed by a dewatering system, such as a centrifuge or belt press, is collected and conveyed to a sludge mixer. 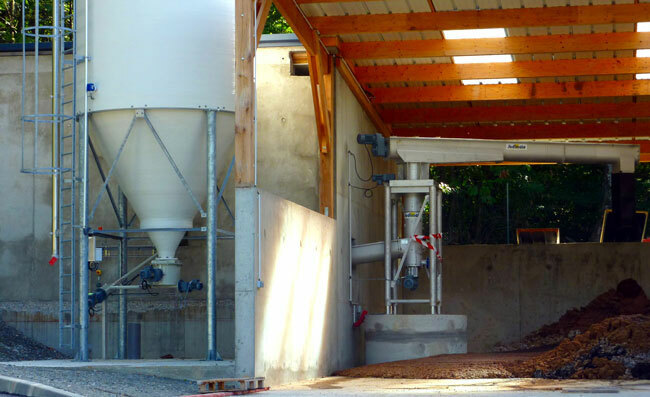 Powdered lime from the storage container (silo, hopper, or big bag) is also fed to the mixer, generating homogenous, stabilized biosolids (Class B).